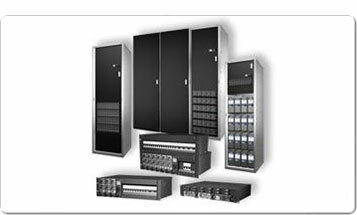 Eaton has a DC power solution for every DC-powered communications network application. For central office carrier networks or private businesses, wireless or wireline, local-loop access or long-haul optics. Our DC power systems offer many advantages including high energy saving efficiency, high power density, flexibility, and smarter energy control and monitoring capabilities for lower operating costs and reduced environmental footprint. Click on the network diagram below for a summary of Eaton DC power solutions by network application.